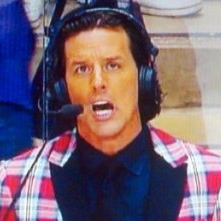 of all time and one of the best color analysts in the game! Nash played eight years in the NHL with St. Louis and Phoenix, recording 27-37-64 and 673 penalty minutes (PIM) in 374 games. He also appeared in 23 career Stanley Cup playoff games. 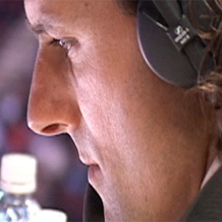 Nash was originally drafted by the Vancouver Canucks in the 10th round (247th overall) of the 1994 NHL Entry Draft. 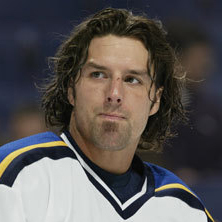 He made his NHL debut on April 3, 1999 with the St. Louis Blues. In 1999-00, Nash was a member of the Blues’ Presidents’ Trophy-winning club, which posted an NHL-best 51-20-11-1 record. 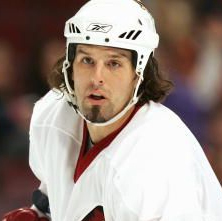 Nash played for the Coyotes during the 2003-04 and 2005-06 seasons and was the recipient of the team’s Man of the Year Award in 2004 for his involvement in the Phoenix community. A native of Edmonton, Alberta, Nash enjoyed a standout junior hockey career with the Kamloops Blazers of the Western Hockey League (WHL) where he won three Memorial Cup Championships and was a teammate of Coyotes Captain Shane Doan. Nash and Doan helped lead Kamloops to back-to-back Memorial Cup Championships in 1994 and 1995 while Nash was also a part of Kamloops’ 1992 Memorial Cup-winning team. 2/25/19 - Tyson Nash speech at the Shane Doan jersey retirement ceremony - Thank you Fox Sports Arizona! CLICK HERE for the latest Pillow Talk with Biz & Nasher, and 5 Minutes in the Box, updated 2/20/19! Visit the PRESS page for more "Tyson Nash in the News". provides expertise in design, launch and maintenance of websites of all types, styles and sizes. 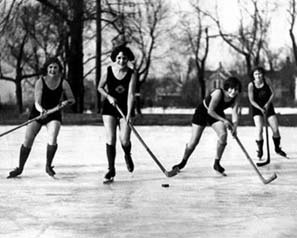 We offer brand management, social media marketing, search engine optimization and other specialized services, and have been growing, creating and developing since our staff and their families, and all of their hockey equipment, arrived in the sunny Southwest in 1990.